Assam Medical College (AMC) in Dibrugarh, Assam, is the oldest hospital of the North-East India. It was established on 3rd November 1947. It was formerly known as Berry White Medical School, named after Dr. John Berry White, the great visionary of modern medical education in Assam. Dr.White was a British surgeon who came to Assam in 1858 to work under the erstwhile East India Company during the British rule of India. He served in upper Assam for long 24 years in different capacities and left his foot prints in all spheres of developmental activities of this region. He had also contributed towards the Tea, coal and oil industries and establishment of rail and Road communications in Assam. Assam Medical College is the most remarkable contribution of Dr. White. 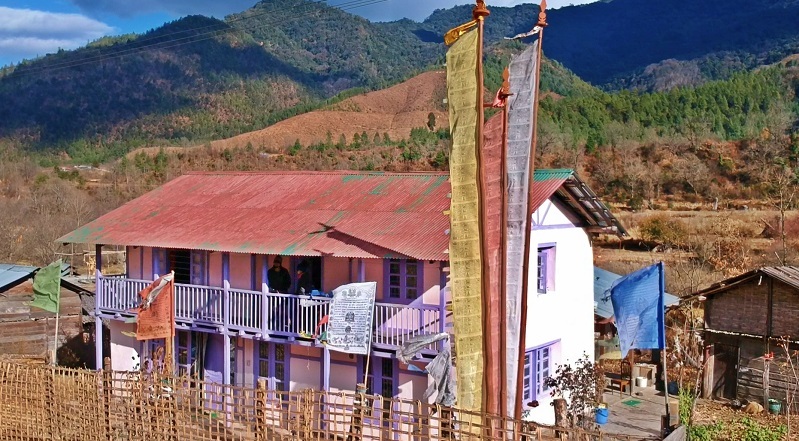 The "Berry White Medical School" at Graham Bazar, Dibrugarh, which was established through a legacy personal contribution of Rs. 50,000 at that time, left behind by him after his retirement as civil surgeon of Lakhimpur District in 1882. 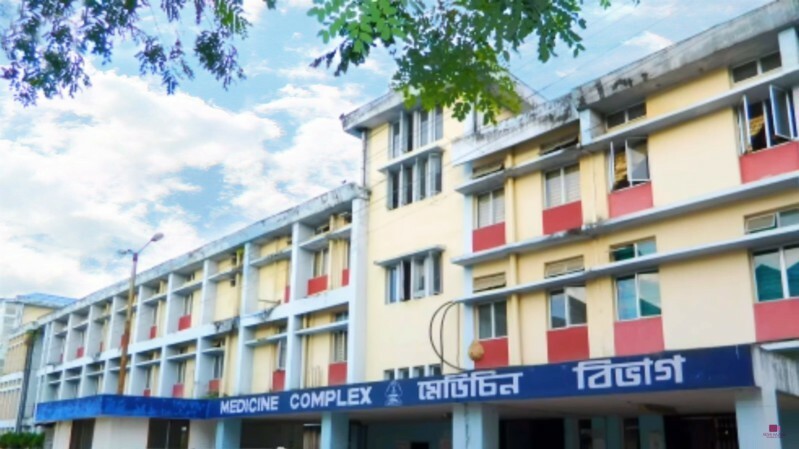 The establishment of the Berry White Medical School in 1900 A.D., not only heralded the beginning of Allopathic Medical Education in Assam, but also formed the nidus for the subsequent establishment of the Assam Medical College in 1947, through a process of up-gradation. Dr. White died in London on 19th November 1896, four years before the establishment of his dream school at Dibrugarh. ✔️ Dr. John Berry White donated his lifetime earnings of Rs 50,000 ($800 approx) for the establishment of Dr. John Berry White Medical School in 1901. ✔️ In 1938 Licentiate Medical Practitioner upgraded it to a full fledged medical College and named in Assam Medical College (AMC). ✔️ AMC was formally inaugurated by the first Chief Minister of Assam, Late Lokopriya Gopinath Bordoloi on Nov 3, 1947. ✔️ Dr. Hem Chandra Baruah was the first Principal of Assam Medical College. ✔️ The admission of the first batch with 12 students was completed in September 1947. ✔️ The first batch of the Assam Medical College graduated in 1952. ✔️ AMC is the first medical college in India to have a Radiology department with X-Ray machines imported from England in 1910. Assam Medical College is situated at one of the Barbari in Dibrugarh and set in the midst of flowing green fields of several Tea Estates. According to a survey, AMC has been ranked amongst the top 10 medical institutes in India. The college is affiliated to Dibrugarh University. The MBBS course offered by Assam Medical College has been recognized by the Medical Council of India (MCI). It also has a hospital, which consists 1249 beds, tertiary care services, OPD services in 25 different specialties. Any one from NE interested in joining engineering courses in Delhi may apply in Ansal institute of Technology (http://www.aitgurgaon.org) the admission is open now. Facility at Assam Medical college is really very good. Very good institute to do medicine. My grand father Late Ashanulla qualified from Berry White School Of Medicine . Dibrugarh in 1921. Having been confided for half the last year in the hospital because of the Chron disease, I can sincerely sympathies with you. I've been feeling better for some time, but the pain is never far away, I've just managed to get used to it. Being ill is hard...in every way, both physical and mental. Because of the hospitalization I had to miss my honeymoon...but one must stay focused and live day at the time. I do hope you get better soon! The USA has always been one of the best destinations for advanced education. The country is a home of world-class universities. The education system is systematic. International students Study Masters in USA from most of the USA universities for getting higher education in different fields. Medicine is one of the best field for the aspirants who wish to become a doctor. There are many courses and specialization in medicine, so that one can choose their course and specialization of their interest. Top 5 medical colleges in India that one can opt for Thanks for sharing. Another inspiration why experts top cancer hospitals in India is the pains it put to enhance patient wakefulness, so that such serious diseases can be diagnosed at an in the early hours segment, which aids in mounting the success tempo of the treatment. Regarding all aspects the blog was perfectly nice. Your posts are good and so informative.